A sturdy and ergonomic reusable coffee cup. 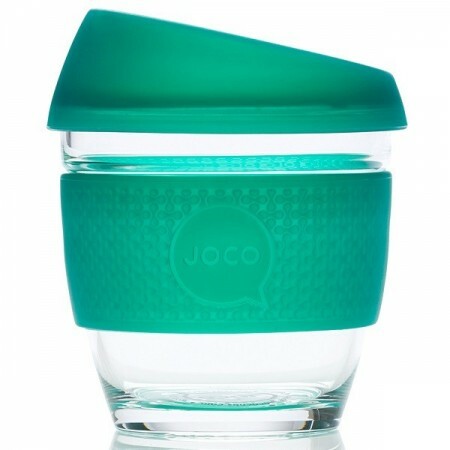 Made with high-quality, non-porous, borosilicate glass, making the cup lightweight and resistant to changes in temperature. Barista certified. Seaglass Deep Teal colour. 235ml. 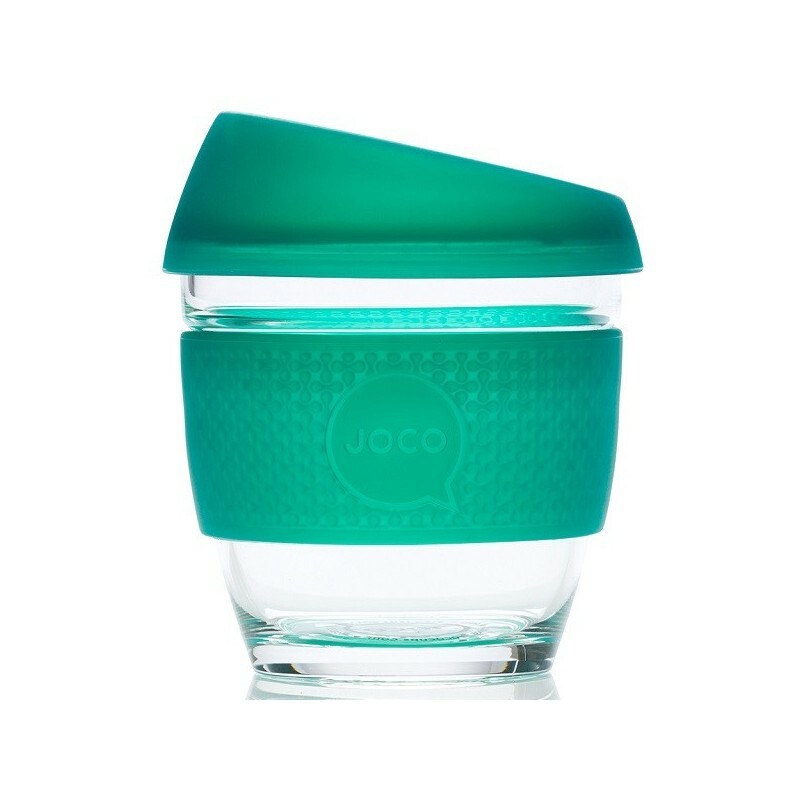 Made from tough, lightweight borosilicate glass, which is resistant to thermal shock, has heat retention, shock resistance and clarity. Glass cup doesn't change taste of contents. Silicone thermal sleeve keeps your hands cool and your drink warm. Will not harbour bacteria/odours. Will not break down with normal use. 'Seaglass Deep Teal' colour sleeve. 235ml (8oz). Price is for one cup. This is a standard small size cafe cup. Borosilicate glass and silicone.